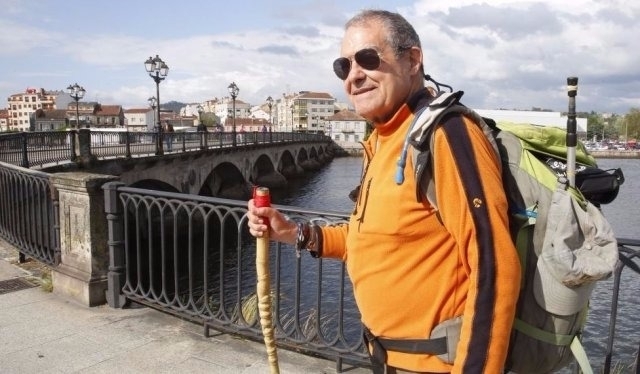 "In many places in Andalusia, especially under the asphalt, there were ancient Roman roads that have disappeared"
In our recent chat with Pedro Antonio Peña, one of the expert pilgrims of the Camino de Santiago, with 57 sealed Compostelas, there has been time to talk about one of the controversies that, at present, is affecting the Jacobean routes. Works and adaptations at different points along the Camino. While some of them are really respectful with the historical paths, we have known cases where clearly the historical and heritage legacy has been destroyed. However, Pedro Antonio is not against all works and improvements that administrations made in the Jacobean routes, "whenever recovering real glens, unappropriated, cattle trails ... that's all perfect, that's fine." A part of the works on the roads and improvements on many routes, especially the busiest, Pedro Antonio also made less those early years of pilgrimage, where the Camino was much less crowded and the relationship between pilgrims and townsfolk was much more nearby. "This is totally lost," confesses this walker veteran, who remembers a curious, though illuminating anecdote. Walking the Via de la Plata in '95, the first time he did, came to Venta Quemada and some friendly residents invited him to go to their home, giving him food and drink, and even "they gave me a piece of omelet" recalls Pedro Antonio. However, 3 or 4 years later, those same people, they will not open the door, despite knowing they were actually in the house. The reason is simple, the number of people. According to Pedro Antonio, who later was able to speak with the owner and remind him who he was, he was told that today 20 or 30 a day pilgrims asked him for water or they got on their property without permission. The number of pilgrims had multiplied exponentially. And despite all of this is lost, the fact is that Pedro Antonio continues to do the Camino for the great experiences that it brings, in addition to the wonderful towns and landscapes he see. 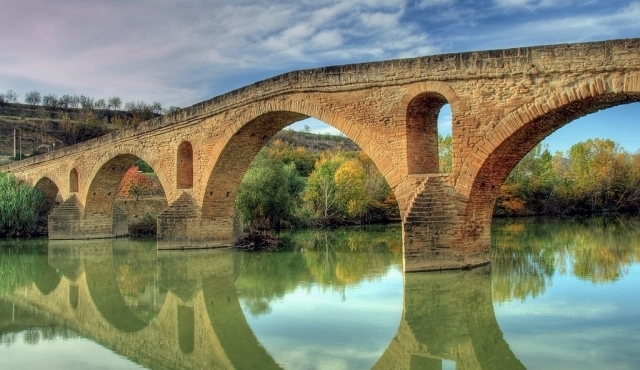 In fact, the man of the 57 Compostelas doesn't doubt recommending one of his favorite "at the time of the French, I loved Puente la Reina". 1 reviews Distance to Santiago: 685 km. Esta bien que el camino se renueve, pero hasta ciertos limites... Estropear una calzada romana no beneficia a nadie. Totalmente de acuerdo. Es decir, obras y mejoras tiene que haber, pues la ecuperación del patrimonio es importante, pero siempre respetando la tradición y el valor histórico. Por otra parte, la afluencia de peregrinos es algo que no se puede evitar, y seguirá creciendo. A algunos habitantes les irá mejor y a otros peor, pero al final es el camino que se está tomando promocionando las rutas. Wow, 57 compostelanas selladas, no tenía ni idea de este peregrino hasta ahora. Las anécdotas que tiene que conocer tienen que ser de traca!